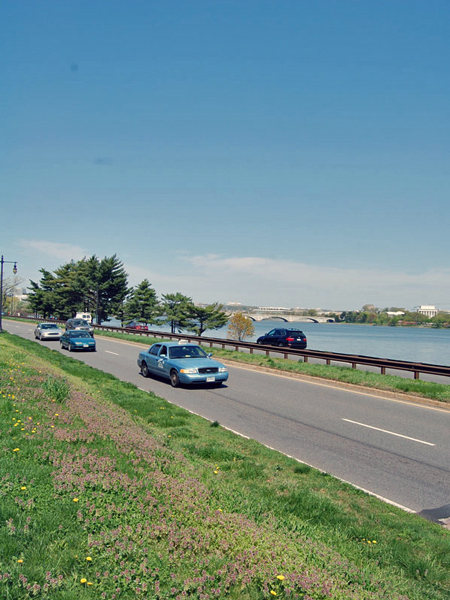 Originally designed as a grand gateway to the nation’s capital, the parkway is a scenic transportation route, running parallel to the Potomac River Gorge, linking the Capital Beltway to the north with Mount Vernon to the south. 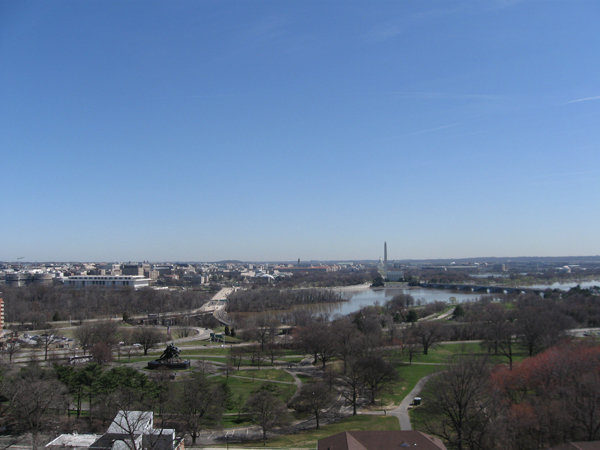 It also provides advantageous views of the city while enhancing environmental conservation along the river. 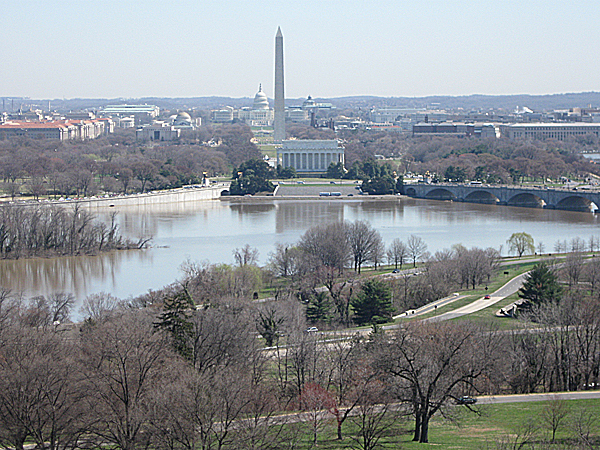 Theodore Roosevelt Island and Lady Bird Johnson Park are two of many parks and commemorative landscapes dotting the parkway. 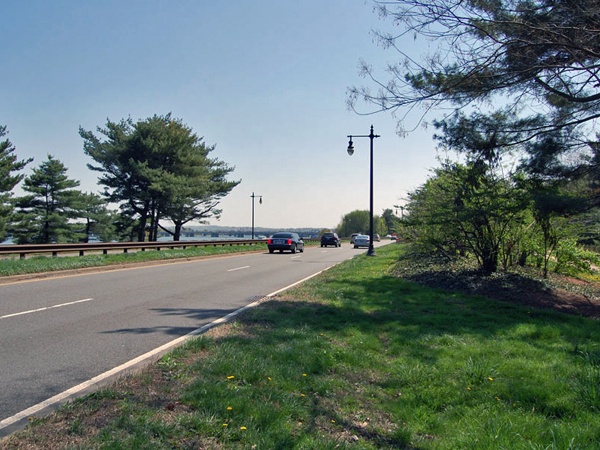 The 7,146 acre route, based on the picturesque Bronx River Parkway in New York, was completed in 1932 to commemorate the bicentennial of George Washington’s birth. It is characterized by an undivided four-lane road surrounded by dense woodland, open grassy embankments, and marsh land. Landscape architects Gilmore Clarke and Wilbur Simonson with engineer Jay Downer and plantsman Henry Nye, consulted on the project. 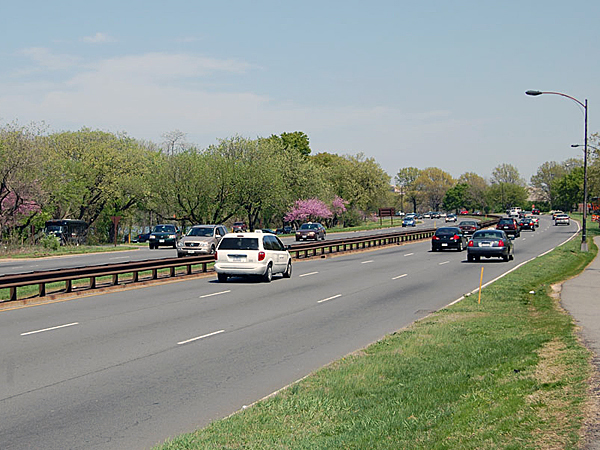 From the 1930s to 1966, as land acquisition continued, these men were joined by Frederick Law Olmsted, Jr. and other landscape architects from the National Capital Parks and Planning Commission and the U.S. Commission of Fine Arts for the design of the northern portion of the parkway. 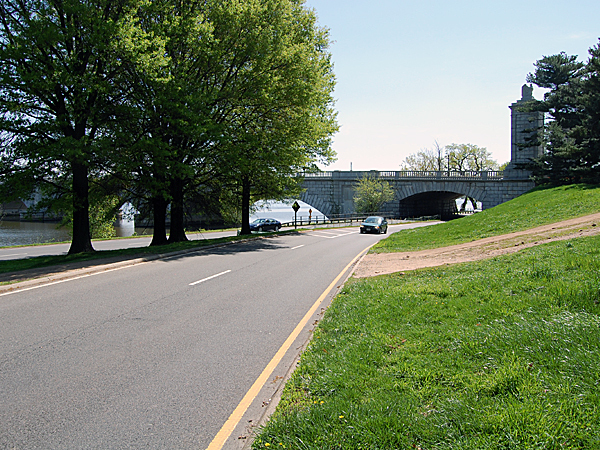 In contrast, this later parkway section is more open and manicured, with more formal memorial spaces and a roadway divided by median, than the first southern section leading to Mount Vernon. 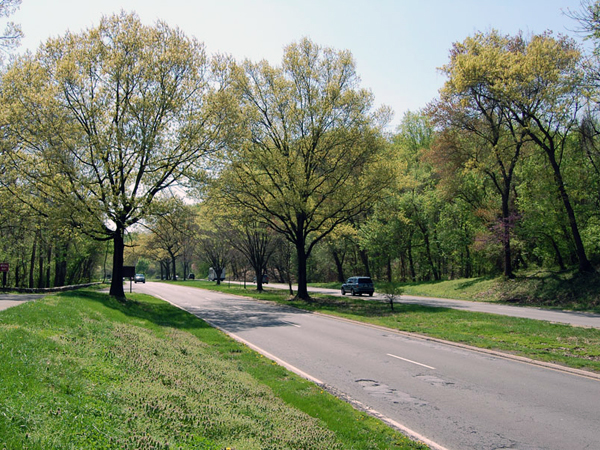 Currently managed by the National Park Service, the parkway was listed in the National Register of Historic Places in 1981 and 1995. 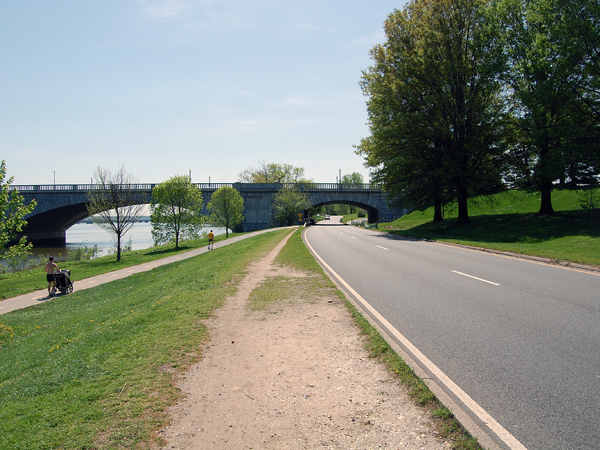 Over the last 20 years, NPS has replaced aging materials, rehabilitated drainage systems, and added safety measures.